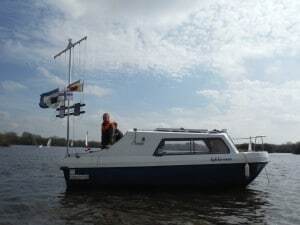 A new committee boat was delivered on 30th March and was used for first time on Sunday. Slightly larger and more comfortable than the old one. She has a petrol outboard engine and will eventually have cooking capability. Please ensure she is moored on the island pontoon after use.